This is the Monaco Home Football Shirt for the 18/19 season. The AS Monaco 18-19 home kit was presented today, confirming earlier leaks. It’s once again made by Nike and continues to feature the logo of eternal main sponsor Fedcom. The traditional red and white home shirt features a new red/dark red graphic print sash on the front and back. Club motto “Unique Forever” is printed inside the v-neck collar. 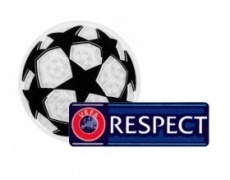 Sewn on badge. Embroidered swoosh. The sleeves and collar of the new Monaco home shirt are both solid white, with a ‘Unique Forever’ writing features on the inside neck. 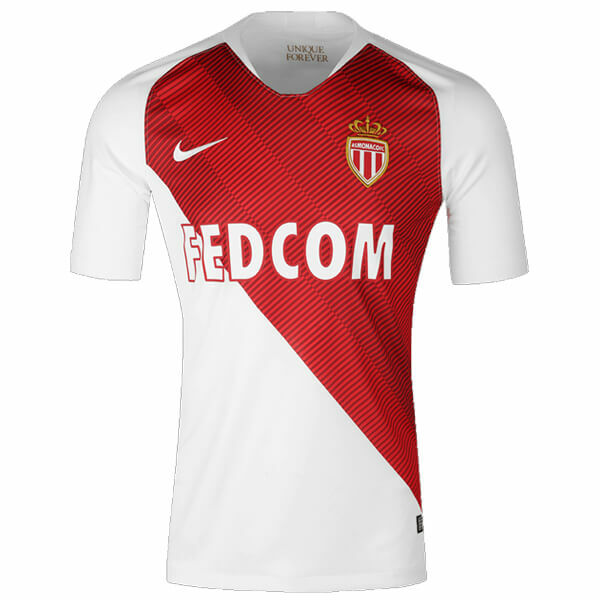 SoccerLord provides this Cheap Monaco Home Football Shirt also known as the Cheap Monaco Home Soccer Jersey with the option to customise your football kit with the name and number of your favourite player including Falcao, Mbappe, Moutinho or even your own name.